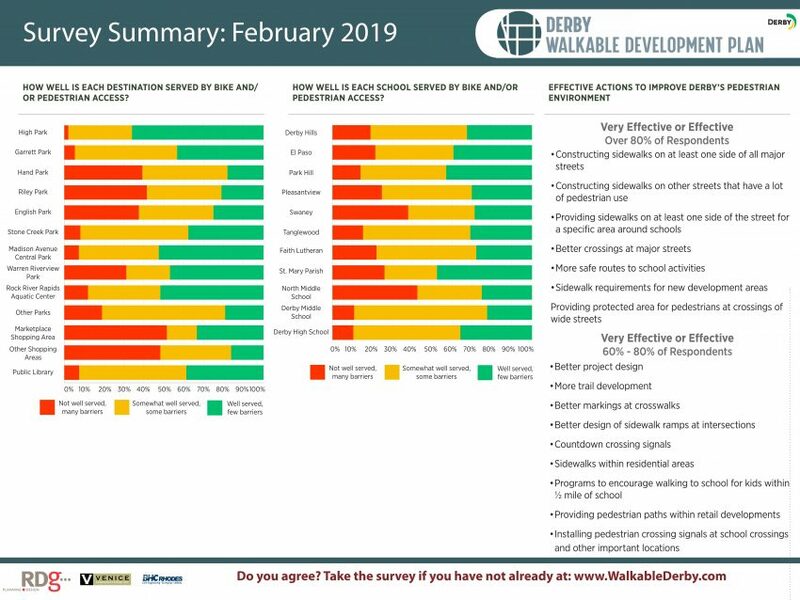 Below is a summary of the survey responses as of February 19, 2019. Do you agree? 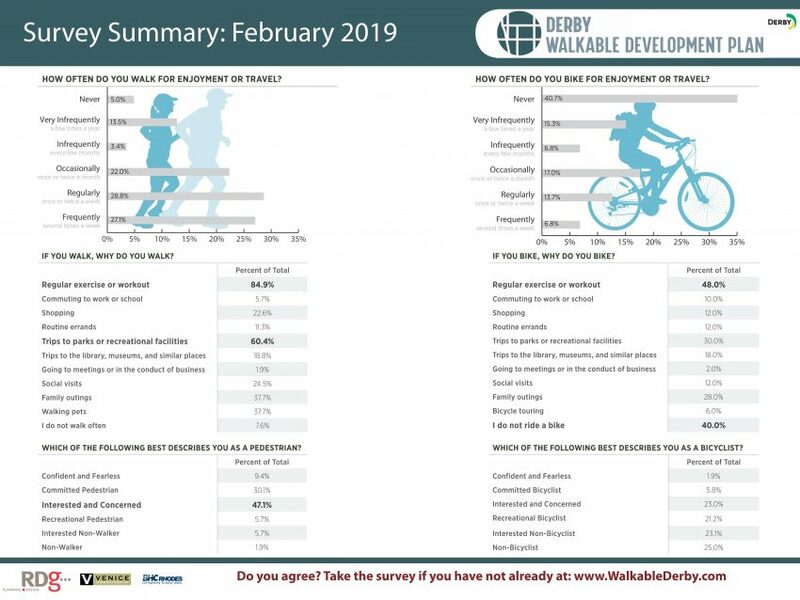 Have you taken the survey? If not, take it now by clicking the "Take Survey" button on the right! Because of weather, evening activities at the schools are canceled. 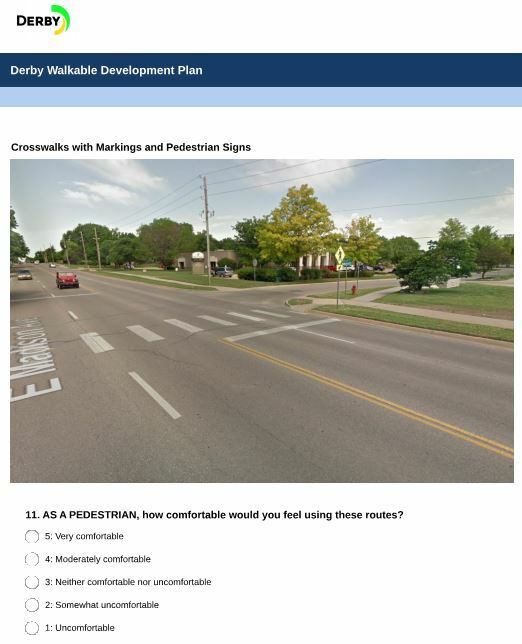 As a result, the Walkable Development Plan Open House scheduled from 6:30-7:30 pm at Park Hill Elementary is CANCELED. 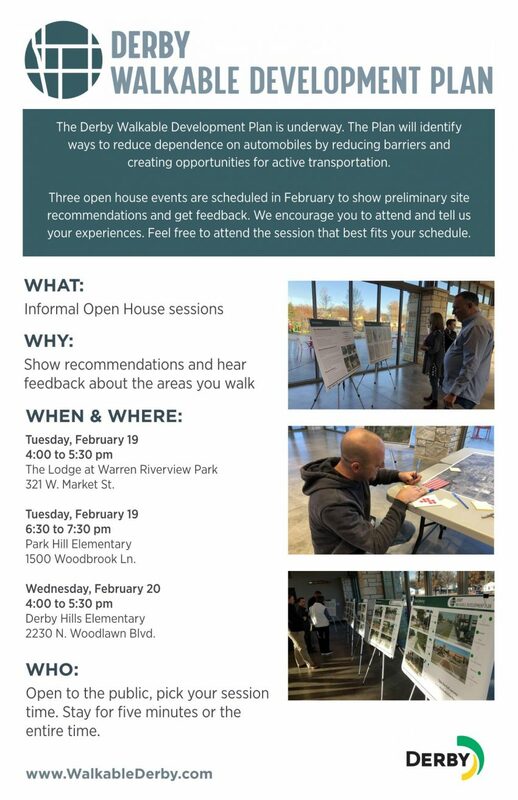 The open house events at Warren Riverview Park on February 19th from 4:00-5:30 pm and at Derby Hills Elementary on February 20th from 4:00-5:30 pm are still planned as scheduled. 3. 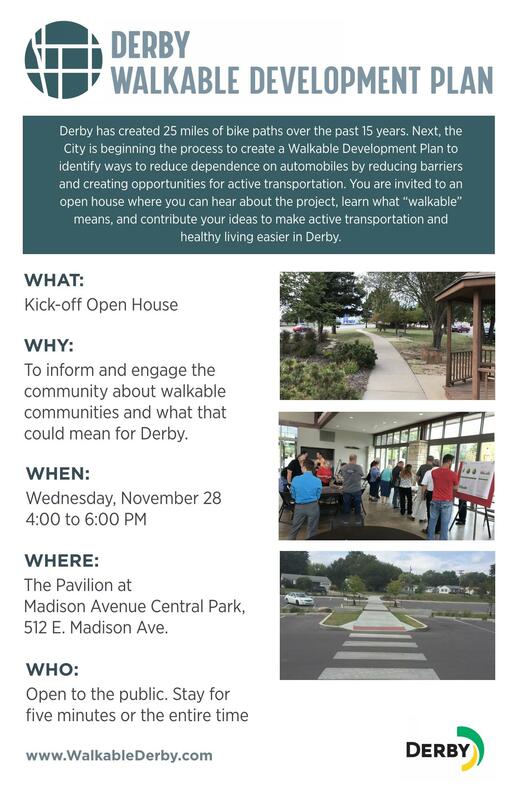 Check out the schedule for future public events...the next open house will be posted soon. Click the buttons on the right or here to give your input! 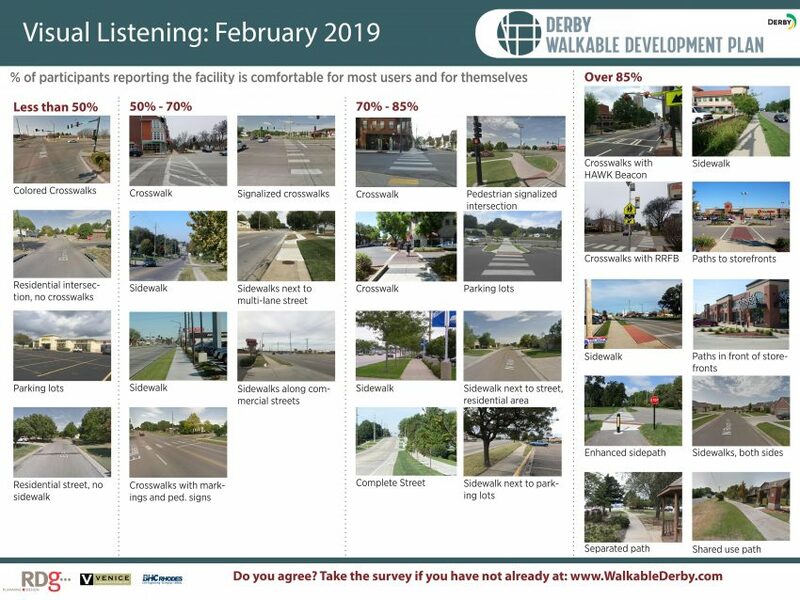 The "Take a Survey" button allows you to take a community survey to understand active transportation habits in Derby and desired improvements.